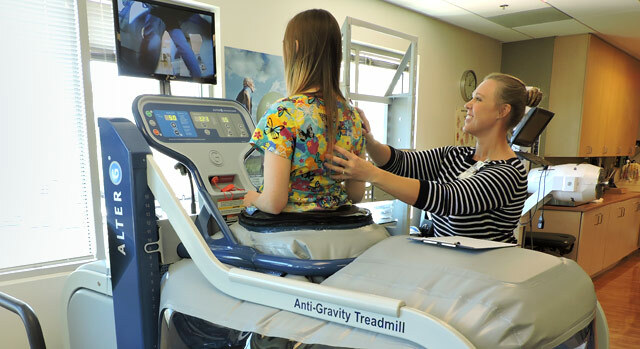 The Rehabilitation and Orthopedic Institute staff interacts with medical professionals from many disciplines, including neurosciences, orthopedics, gerontology, hematology, oncology and general medicine. Therapy services are provided to outpatients and hospitalized patients. The clinical expertise and core values of compassion and respect demonstrate the staff's firm commitment to providing high quality care for patients. For more information, please call 661-206-6250. Physical therapy: 8 a.m. to 6 p.m.
Occupational therapy: 8 a.m. to 4:30 p.m. Speech therapy: 8 a.m. to 3:30 p.m.